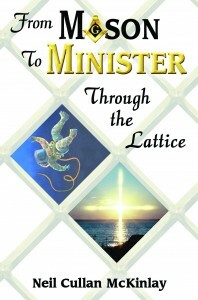 Join Neil Cullan McKinlay, author of the Christian memoir, From Mason to Minister: Through the Lattice as he virtually tours the blogosphere in June 2011 on his first tour with Pump Up Your Book! I grew up in the Vale of Leven on the southern end of Loch Lomond. I left school at fifteen to work in a Glasgow shipyard but subsequently became an apprentice plumber in my home town of Alexandria. In 1977, just before my twenty-first birthday, I moved back to Toronto, Canada to work as a journeyman plumber. On a trip back to Scotland I met Dorothy. We married in 1981 in Winnipeg, Manitoba where I worked as a railway pipefitter for Canadian National Railway. Our marriage produced three beautiful daughters who are now all grown up and married. It was after ten Manitoba winters that we pulled up stakes and moved to sunny Queensland where I studied to be a Presbyterian minister. Ordained in 1998 I pastored congregations in Springsure and in Brisbane, with a five year stint in beautiful Tasmania. We have now settled back in Brisbane where I work part time as an Army Chaplain. The rest of my time is spent writing mostly theological items but I’m trying my hand at novel writing. 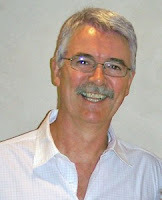 I also write for a monthly Australian writer’s magazine called FreeXpresSion. I self-published a collection of these writings in a book titled The Song of Creation & Other Contemplations (ISBN 0-9757588-7-X). I like strumming my guitar and writing songs, watching movies and reading good books. I openly admit to enjoying contemplating God’s creation, appreciating birds, bees, mountains, trees, good food and the occasional single malt. Neither an apologetic nor a polemic, he corrects much misinterpretation and misunderstanding of Freemasonry. We learn how inspiration from Masonic teachings about Solomon’s Temple, the arch, and keystone led him to a deep study of the revelation from the Bible of the “stone the builders rejected” which is Christ. Readers will be uplifted, inspired, and delighted as they follow along with him in the discovery of his calling to become a minister. My wife Dorothy and I share an evening meal once a week at our place with our three daughters and their husbands. I was silently watching my little almost two-year old grandson playing with his daddy. My tall son-in-law was sitting on the carpet and his son had his undivided attention. I thank the Lord that he gave me three daughters who I love dearly. However, I perceive that there is a special relationship between a father and a son, just as my wife Dorothy has that special “girly” relationship with our three daughters. At the end of our evening together the boy’s dad picks his son up in his strong arms and carries him. It’s plain to see that he loves his son. In this I see a cameo of God’s love for His children. An Army Chaplain was lamenting that his grandson, the apple of his eye, had grown up and had gone off the rails. I pray for my little grandson daily that he’ll always know a close walk with the Lord. However, I’m reminded that God’s people, from Adam till today, have been known to wander from the well-lit paths of righteousness. One only has to read the warnings in the Book of Proverbs about the flattering seductress. However, “A wise son makes glad a father, but a foolish son is the grief of his mother” Proverbs 10:1. I pray my little grandson will grow up wise! God’s children in the wilderness years were easily enticed away from their loving heavenly Father. Indeed, it’s during tough times that our love for our Father is most tested. We look to God to protect us, but when devastation and destruction comes we tend to question His love for us. Wandering in the wilderness His children had been afraid to enter the Promised Land. So Moses in a speech reminded them of how God had looked after them, and, “In the wilderness where you saw how the LORD your God carried you, as a man carries his son, in all the way that you went until you came to this place” Deuteronomy 1:31. How does a man carry his son? He wraps his arms around him and holds him close to his heart. “The eternal God is your refuge, and underneath are His everlasting arms” Deuteronomy 33:27a. How did Job manage to trust God when his faith was sorely tested? God asked Job rhetorically, “Have you an arm like God?” Job 40:9a.